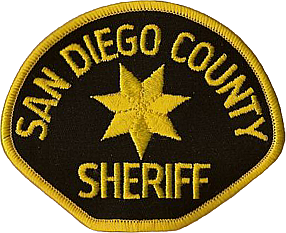 A ribbon-cutting was scheduled today for a new 27,000-square-foot sheriff’s station near the intersection of state Routes 94 and 54 in Rancho San Diego. The $17.5 million structure will house around 100 sheriff’s employees who will move from a station in Lemon Grove, according to the San Diego County Sheriff’s Department. Sheriff’s Bill Gore and County Supervisor Dianne Jacob are scheduled to attend today’s ribbon-cutting ceremony, which is expected to start at 11 a.m. and is open to the public. The new station at 11486 Campo Road will serve Rancho San Diego, Mount Helix, Spring Valley, Casa de Oro, La Presa, Jamul and unincorporated areas around La Mesa and El Cajon. The Lemon Grove station will remain open with a smaller number of employees assigned to it to continue serving the immediate area, officials said.